For a limited time, receive 10 free boxes with any mobile storage unit rental. Whether you live in a housing complex or a cottage, a duplex or a sprawling ranch, our residential movers Orlando are capable of accommodating any sized household moving need. AAA Insta-Move is your local moving company dedicated to creating streamlined, seamless, and stress-free moving experiences. 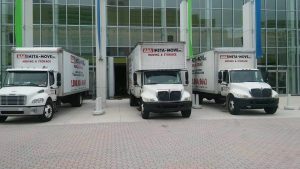 You can rely on our professional Florida movers to create a unique relocation that is designed to fulfill all of your family’s moving requirements within your budget. Trust the movers who understand what it means to be careful, dependable, and professional. AAA Insta-Move is your local moving company dedicated to creating streamlined, seamless, and stress-free moving experiences. Local Movers – Our local moving company has a familiarity with the streets to ensure your upcoming move is seamless and efficient so you won’t have to worry about time wasted. Interstate Movers – Whether you’re moving from Florida to Tennessee or all the way to California, you can depend on our interstate movers to create a coordinated moving plan for you. Intrastate Movers – If you’re moving in-state, you want professionals who will work personally with you to ensure you get the moving experience that you require. Long-Distance Moving – Whether you’re moving 500 miles or 5,000, choose a long-distance moving company that offers customizable moving services you can pick and choose from. Apartment Moving – Our moving experts know just how to work around tight corners and narrow spaces to ensure your belongings are kept safe and pristine. 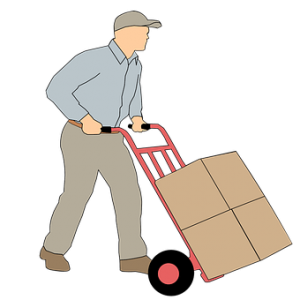 Senior Moving – If you or your beloved seniors are in need of moving services, trust our gentle movers to carefully and respectfully relocate your items with ease. All these residential moving services come with quality packing supplies and moving equipment. You can count on high quality moving boxes, tapes, packing papers, wrapping materials, and more. With our safe moving services, you can be sure your residential move is in safe hands. Other Orlando apartment moving companies simply can’t compete. Whether you’re moving from a small one-bedroom apartment into a new townhome or duplex or you’re upgrading your space into a penthouse suite, you can depend on our moving professionals. In 1997, AAA Insta-Move was founded on the principle that each relocation should be performed to the highest caliber by movers who care. If you’re looking for apartment movers in Orlando that can give you the relocation you desire, call us or fill out our online form for your free, no-obligation moving estimate! 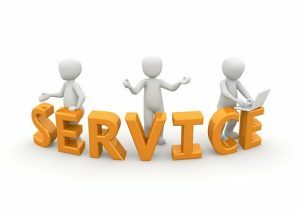 Our services are reliable and dependable. We are dedicated to making all our customers happy and satisfied. What makes us different from other Residential Moving Companies in Orlando? Our personalized approach is what makes us different. Our residential moving services in Orlando are safe, reliable and customized to satisfy all your needs and budget. Friendly customer services and polite and dedicated team of apartment movers Orlando will make your move a success! Your residential relocation is handled with the utmost care and respect. You can count on safe, affordable and dependable services which make us the best of residential moving companies in Orlando. We respect all your needs and wishes so you can have a memorable moving experience. Not every moving company pays attention to all details. We are different from other moving companies in Orlando because we respect your time and budget. Making a customized moving plan, we are more than capable of accomplishing your schedule and financial limits. With our residential moving services, you can enjoy in your comfortable household move. We have you covered! Besides we are dedicated to providing you with the best residential moving services and quality equipment, we are also constantly improving our customer services to exceed the customers’ expectations. Our apartment movers Orlando take care of your specific needs. Our experience and expertise is the reason why our customers are always returning to us, and again and again. We take care of all the details, every step of your way. To make you happy and satisfied your belongings are safely handled from start to finish with good and professional hands. Our goal is to keep every item of yours safe and protected during the transition. This is the reason why we are the best rated residential moving company in Orlando. Schedule your move with our household movers, and soon you will become part of the network of our satisfied clients. Maybe you are asking, how does it look like to relocate with residential movers Orlando? That’s why we want to give you an insight in every step of the residential move. With our moving assistance, your move is handled from start to finish. We are here to prepare your move most efficiently. We assess your needs, we make a customized moving plan and estimate your moving costs. Good preparation is half of the successful household move. Residential movers Orlando is a team of capable and skilled movers, packers and drivers. We have experience and expertise in packing, loading and unloading your belongings. We do all the heavy lifting for you, and we cover and protect all your fragile and valuable items. With our assistance, you don’t have to worry about damages while loading and unloading your staff. With apartment movers Orlando your delivery is reliable and timely efficient. Our crew is dedicated to handling every part of your move. When it comes to transportation, our professionals are skilled in unloading, delivering and reassembling your items at your new home. 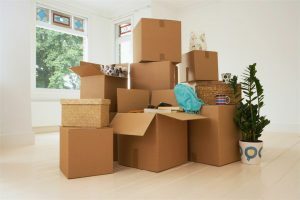 Of course, you can check the condition of your belongings after the delivery to make sure everything is in good shape same as on the start of the relocation. With apartment movers Orlando your delivery is reliable and timely efficient. In your search for reliable apartment movers Orlando– AAA Insta-Move is your best choice! Many residents of Orlando make residential moves every day. There are many different moving companies in Orlando, but you should be careful to find the most reliable one. Proper research will help you avoid fraudulent movers and moving scams. With our apartment movers, Orlando you can trust your most valuable items is safe during the family relocation. Our years of experience are the reason why you should trust our household moving company. A long list of satisfied clients is the proof they had a successful move. Read their reviews online, and soon you will realize we are the best choice in your search for residential moving company Orlando. We are always trying and give our best to make your dreams come true. Since 1997, the Orlando residential moving company at AAA Insta-Move has made it our business to create moving solutions that ensure you get the relocation you’ve always wanted. Our moving specialists make your satisfaction our top priority, so you can have peace of mind that you’re working with pros that put your needs first. You’ll work with our experts to create a custom moving solution that makes relocation simple and easy. If you’re ready to get started on your upcoming relocation, call our apartment movers Orlando or fill out our online form to get your free, no-obligation moving estimate!